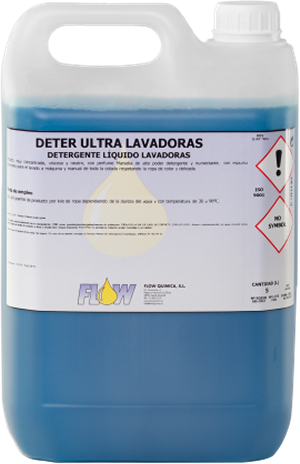 Liquid detergents for laundry machines - Neutral, viscous liquid detergent, Marsella perfumed with higly humidifying and detergent power, low foam suitable for hand and machine wash and gente with colour or neutral fabrics. 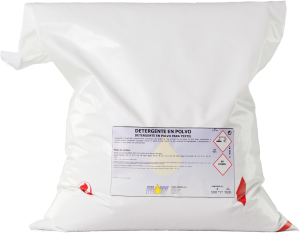 Powder Bleaching based detergents - Concentrated detergent specially designed for all types of waters. Its highly sequesting power enables best results even in hard waters. Its high percentage of bleaching and degreaser content empowers it as and ideal stain remover. Special Colour Detergent - Concentrated detergent specially designed for colour fabrics in all types of waters. 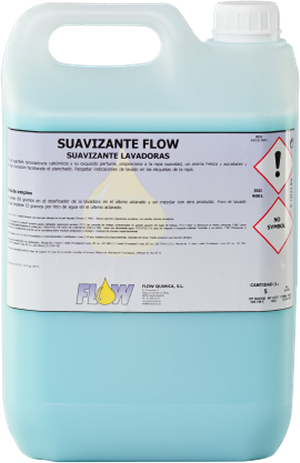 Flow Softener - Provides laundry with a soft, fresh and pleasent long lasting aroma due to its cationic surfactants agents and its exquisit perfume. Available formats for our products are: 1 liter, 5 liters, 10 liters, 25 liters, 200 liters and 1000 liters.